Let's discuss positive health and lifestyle changes you can make when planning your pregnancy. It’s a common misconception that if you are fit and healthy, then you must be fertile. Many healthy women have problems falling pregnant – it’s important to remember that the single most important factor impacting a woman’s fertility is actually her age. Nonetheless, improving your health and lifestyle at any age can help optimise your chances of falling pregnant, and there might be improvements you can make whether you are just starting out, or are currently undergoing fertility investigations or treatment. 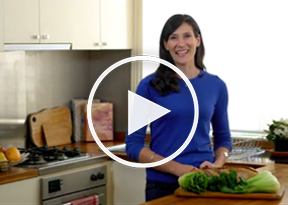 Accredited Practicing Dietician Melanie McGrice shares her simple tips for optimising nutrition for conception. There are a number of factors that affect your chances of falling pregnant each month. Some you can control, like your lifestyle choices, while others – such as your age – are out of your hands. Sometimes fairly simple lifestyle changes can make a big difference to your wellbeing and to the important hormones that regulate your fertility. For both men and women, being overweight can drastically affect your chance of becoming a parent – sometimes, being underweight can too. If you are above your healthy weight range, a weight loss of just 5% of your body weight can increase your chances of falling pregnant. Once you are pregnant, being outside the healthy weight range increases your chance of a preterm birth (if underweight) or longer hospital stays, caesarean sections, high blood pressure, and diabetes (if you are above the healthy weight range). Regular moderate exercise burns excess fat, boosting fertility, heart health and energy levels. Don’t be daunted by the prospect of starting a whole new exercise routine – even just some simple changes can make a difference. To get the most health benefits, a good goal is at least half an hour of moderate-intensity physical activity on most days. You don't have to do it all at once. Your exercise can be spread over the day in 10 minute blocks. Try three x 10 minute walks, or two x 15 minute periods of activity. It is scientifically proven that smoking (both cigarettes and cannabis) negatively affects both male and female fertility, and it’s also bad for an unborn child. If you can’t stop cold turkey, your GP can help you cut back and quit. Some doctors advise avoiding alcohol altogether while trying to conceive, while others say that moderation is the key. It’s best to be sensible – it’s okay to have one glass of wine or a beer here and there. Trying to have a baby is a special time, but it can put additional strain on your relationship with your partner. Hear from relationship expert Dr Nikki Goldstein on how to maintain a healthy relationship, and what you can do to encourage and support each other throughout the process.